Strep throat is caused by a specific bacteria called Streptococcus pyogenes. Younger children can have more vague symptoms but are usually fussy, have a decreased appetite, fever, can have swollen glands in the neck and sometimes complain of a stomach ache or have vomiting. 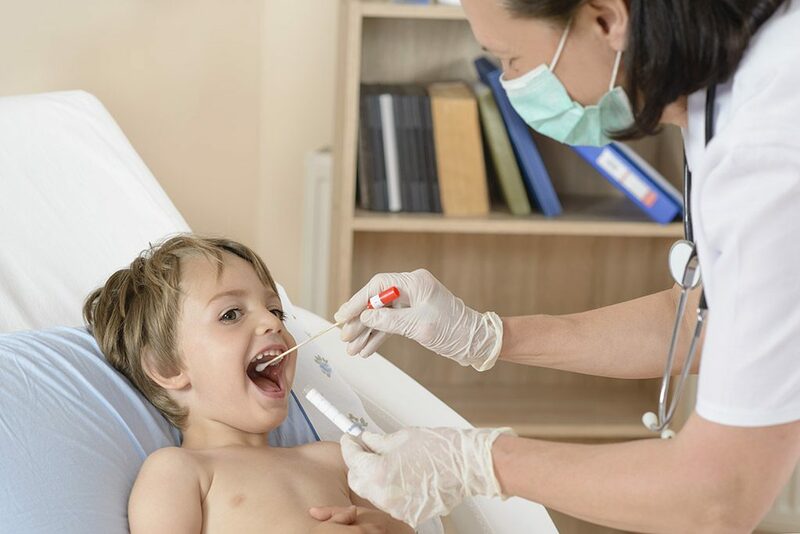 Older children are often more ill-appearing and may have an extremely sore throat, fever over 102 degrees, swollen glands in the neck, and sometimes pus on the tonsils. They also often complain of a headache, nausea, or a stomach ache. It's important to distinguish strep throat from a viral sore throat because strep infections need to be treated with antibiotics. If left untreated strep throat infections can have significant complications. Viral sore throats, however, will resolve on their own, usually within a week, and treatment only involves symptomatic care.